Description: This gun is like brand new. Only fired a couple of times. 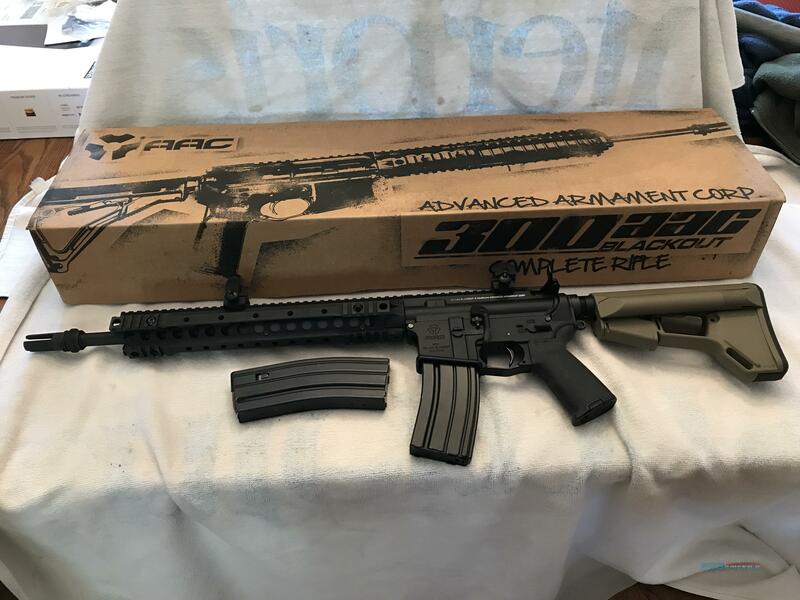 Includes Knight Arms front end with top/bottom rails, suppressor quick-connect flash hider, 2 each 30 round clips, Magpul grip and Magpul storage stock.